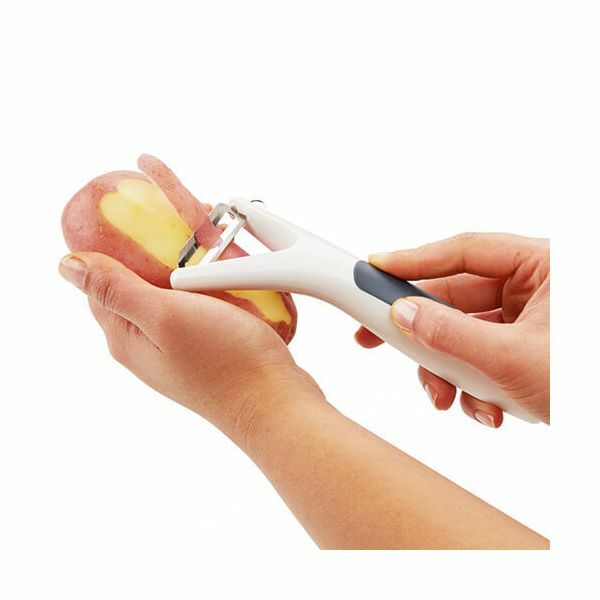 The Zyliss Smooth Glide Y-Peeler has an extra-hardened steel blade that is perfect for peeling and which will stay sharp for longer. The ergonomically designed handle has been designed to sit comfortably in the hand and reduce fatigue through prolonged usage. 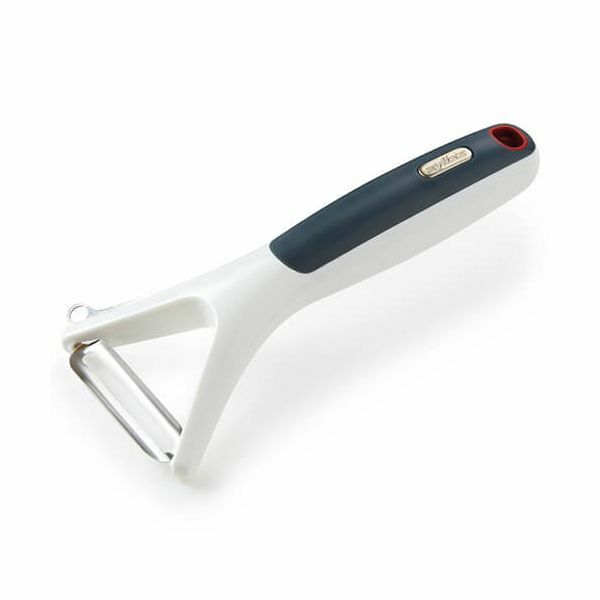 It also features a useful eye cutter for removing blemishes. 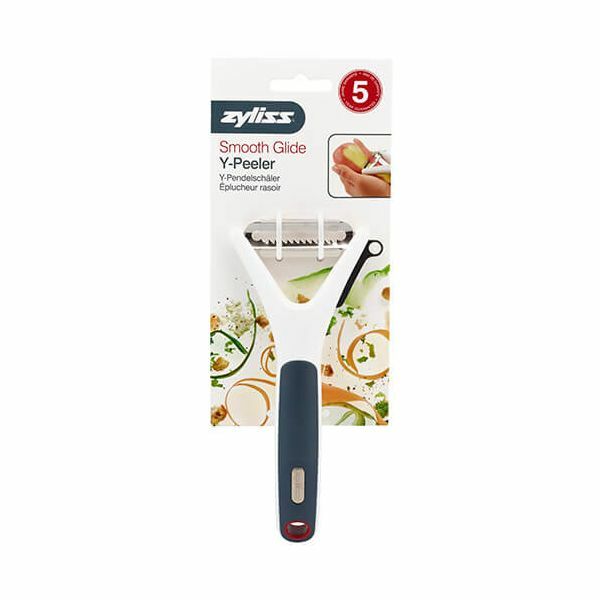 This Y-peeler is dishwasher safe and comes with a 5 year Zyliss guarantee.